Camping on the Main Salmon can be better described as "glamping" (glorified camping) as roomy and spacious tents, as well as terrific food and entertainment accompany you the whole way down. 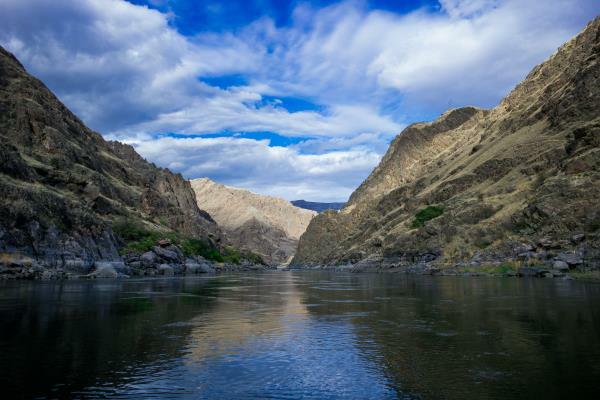 Experience spectacular natural wonders, wildlife and history around every bend on one of Idaho's premier river trips with our Main Salmon River rafting expedition. The Main Salmon River flows through 89 miles of wilderness and scenic wonder while dropping 1,200 feet, creating some of the best white water rafting in Idaho. The River of No Return warms to a very comfortable temperature in July and August that might invite you to enjoy swimming, water fighting and other fun activities. Many prefer to just relax in the serenity and beauty of the forested canyons and granite walls. 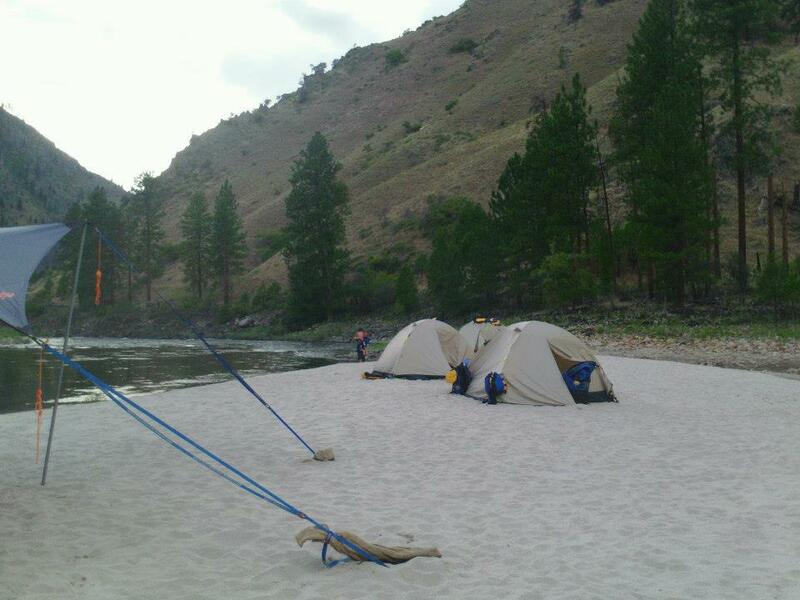 The Main Salmon River rafting experience will amaze you with many great white sand beaches and camp sites surrounded by Poderosa Pine's. 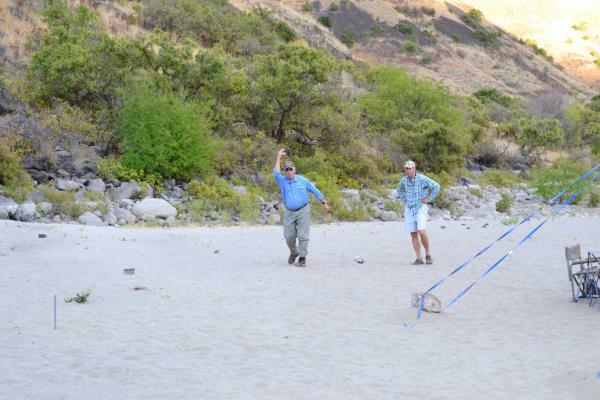 Fishing and hiking opportunities abound, rainbow and cutthroat trout are the fish choice, whether you prefer casting a spinner in the ripples or fly fishing in the side streams. You will enjoy many short walks to pictographs and old homesteads where your guides will share tales of adventure of the first river men, pioneers, miners and Native Americans. The Salmon is like no other, it has terrifically large beaches where you can play volleyball, frisbee, or lay around in a chair and soak up some rays. The warm weather that typically accompanies the Main Salmon River rafting trip ensures a great family vacation. 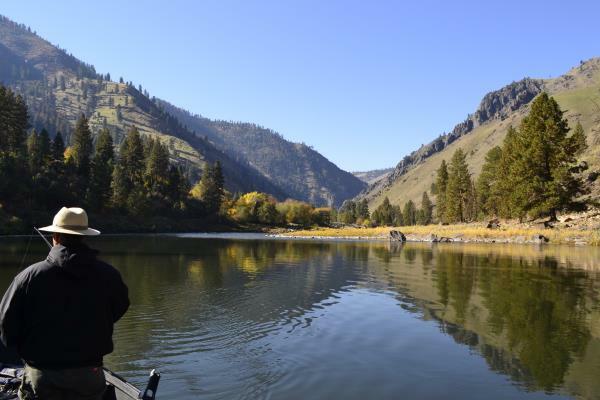 Trips on the Main Salmon River are operated by Mountain River Outfitters, who are a licensed Idaho Outfitter.